Arun brings over 40 years of experience in Accounts, Finance and Investments. Mr. Kishore is a Fellow member of the ICAI. He is also Director on-board of Birla Ericsson Optical Ltd.
Arun is a Chartered Accountant and also holds a B.Com. from Punjab University, Chandigarh, India. Suresh Radia is an executive level director with successful and dedicated professional with over 30 years track record in the Semiconductor Industry in particularly Electronics Design Automation. He has specialized knowledge of research, operations, senior leadership, customer interaction, recruiting high talented teams, coaching international employees, mergers and acquisitions. Since 2009 specialised in productising innovation and establishing market across EMEA. Suresh’s 30+ years of professional experience include stints at Marconi and Cadence (24 years), where he held various management positions, including VP of Technical Field Operations for EMEA. Suresh has a B.Sc. degree and is qualified as Chartered Director from Institute of Director in 2004. Suresh lives in London. 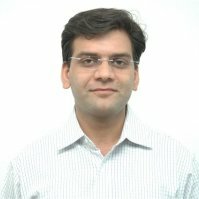 Nitin brings over 18 years of engineering and management experience developing and bringing to market over 30 products. Prior to founding Truechip, Nitin was most recently a Design Manager at Freescale Semiconductor. Nitin worked at FSL for 10yrs. Prior to that Nitin worked at ControlNet, Goa. Nitin has hands on experience in frontend and backend SoC design flows. Nitin holds a PGDM (Finance) from AIMA, and a BE (Electronics & Telecomm) from Pune University, India.